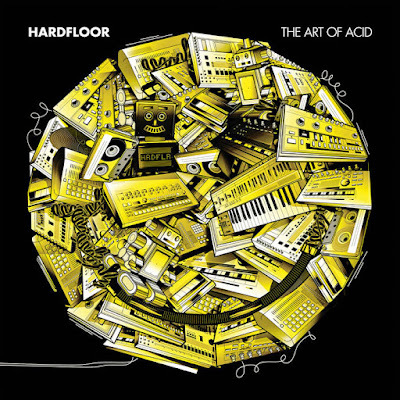 Look at the cover of Hardfloor's 2014 album The Art Of Acid. Look at it. Just look at it. No, don't look at that thing over there. Just look at this album cover. All those synthesisers. All those sound modules. All those knobs just waiting to be tweaked. Some of them are Rolands, just like me. Don't go tweaking my knob. I might make an interesting sound if you do, but trust me, those machines will make a better noise. It's such a lovely album cover. I want to nuzzle that picture. I want to buy it dinner. I want to dance the Lambada for it, then suddenly switch to the Macarena, and everybody will be, like wooah look at his dance moves, he knows all the dance moves. I can't keep looking at that album cover. You never know, I might even listen to it. Maybe. One day.